T-Mobile is investigating a retail store employee who allegedly made unauthorized changes to a subscriber’s account in an elaborate scheme to steal the customer’s three-letter Instagram username. The modifications, which could have let the rogue employee empty bank accounts associated with the targeted T-Mobile subscriber, were made even though the victim customer already had taken steps recommended by the mobile carrier to help minimize the risks of account takeover. 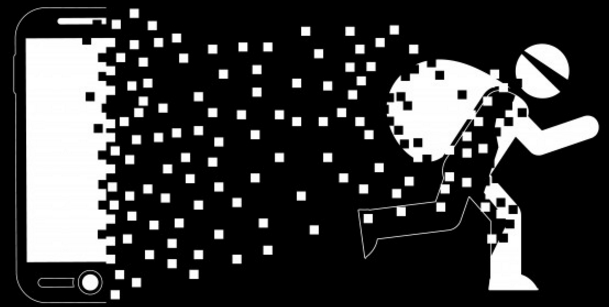 Here’s what happened, and some tips on how you can protect yourself from a similar fate. 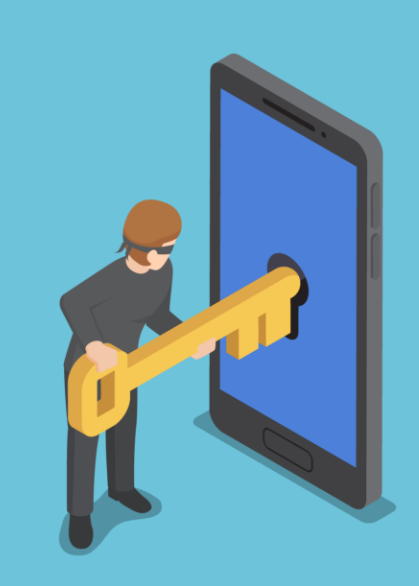 Earlier this month, KrebsOnSecurity heard from Paul Rosenzweig, a 27-year-old T-Mobile customer from Boston who had his wireless account briefly hijacked. Rosenzweig had previously adopted T-Mobile’s advice to customers about blocking mobile number port-out scams, an increasingly common scheme in which identity thieves armed with a fake ID in the name of a targeted customer show up at a retail store run by a different wireless provider and ask that the number to be transferred to the competing mobile company’s network. So-called “port out” scams allow crooks to intercept your calls and messages while your phone goes dark. Porting a number to a new provider shuts off the phone of the original user, and forwards all calls to the new device. Once in control of the mobile number, thieves who have already stolen a target’s password(s) can request any second factor that is sent to the newly activated device, such as a one-time code sent via text message or or an automated call that reads the one-time code aloud. A SIM swap is a legitimate process by which a customer can request that a new SIM card (the tiny, removable chip in a mobile device that allows it to connect to the provider’s network) be added to the account. Customers can request a SIM swap when their existing SIM card has been damaged, or when they are switching to a different phone that requires a SIM card of another size. However, thieves and other ne’er-do-wells can abuse this process by posing as a targeted mobile customer or technician and tricking employees at the mobile provider into swapping in a new SIM card for that customer on a device that they control. If successful, the SIM swap accomplishes more or less the same result as a number port out (at least in the short term) — effectively giving the attackers access to any text messages or phone calls that are sent to the target’s mobile account. Rosenzweig said the first inkling he had that something wasn’t right with his phone was on the evening of May 2, 2018, when he spotted an automated email from Instagram. The message said the email address tied to the three-letter account he’d had on the social media platform for seven years — instagram.com/par — had been changed. 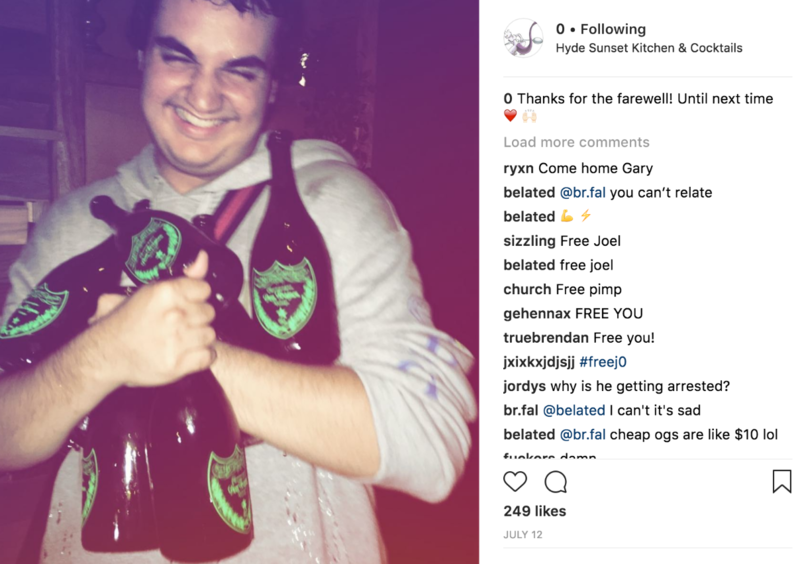 He quickly logged in to his Instagram account, changed his password and then reverted the email on the account back to his original address. By this time, the SIM swap conducted by the attacker had already been carried out, although Rosenzweig said he didn’t notice his phone displaying zero bars and no connection to T-Mobile at the time because he was at home and happily surfing the Web on his device using his own wireless network. The following morning, Rosenzweig received another notice — this one from Snapchat — stating that the password for his account there (“p9r”) had been changed. He subsequently reset the Instagram password and then enabled two factor authentication on his Snapchat account. 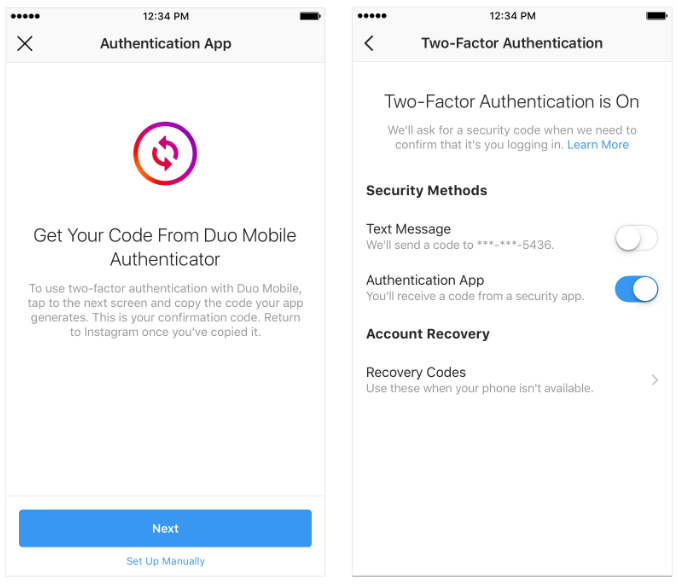 It appears that the perpetrator of the SIM swap abused not only internal knowledge of T-Mobile’s systems, but also a lax password reset process at Instagram. The social network allows users to enable notifications on their mobile phone when password resets or other changes are requested on the account. 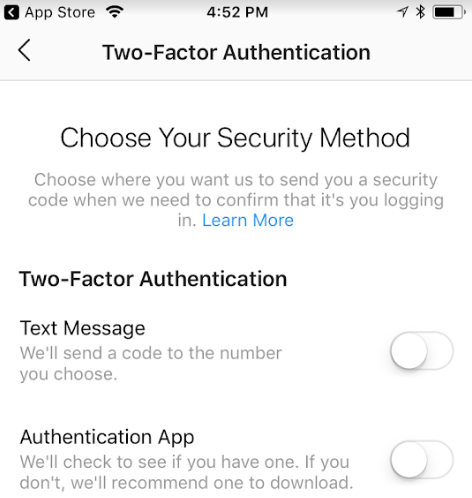 But this isn’t exactly two-factor authentication because it also lets users reset their passwords via their mobile account by requesting a password reset link to be sent to their mobile device. Thus, if someone is in control of your mobile phone account, they can reset your Instagram password (and probably a bunch of other types of accounts).